Gerber is recalling pouches of organic baby food because of a possible packaging defect. 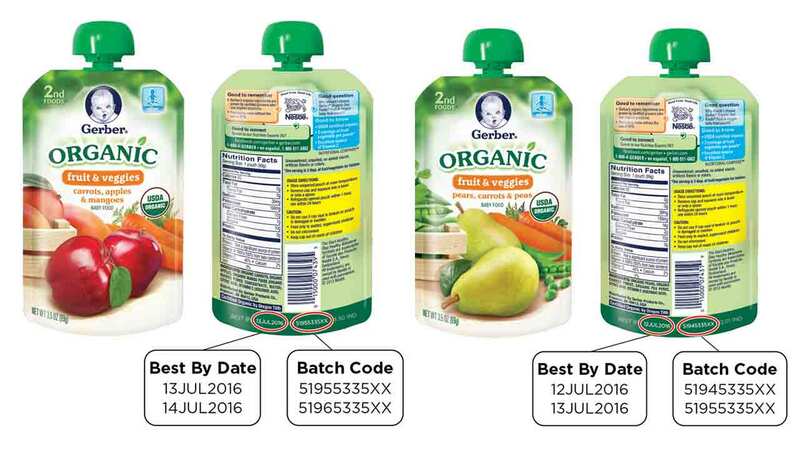 The recall involves two batches of Gerber's Organic 2nd Foods Pouches. The company says there is problem with the packaging that could cause the food to spoil. Gerber says that, in some cases, the pouches are bloated and product inside may have an off taste or odor. So far, here have been three reports of illnesses. Anyone who purchased the pouches should call the Gerber Parents Resource Center at 1-800-706-0556 for a replacement coupon. For more information on this recall, visit the FDA website.